Did you know that Washington has more craft distilleries than any other state in the U.S.? Every month or so, we will shine our Salty Girls distillery spotlight on a different Washington-based distillery by making it available at the bar and even creating a special cocktail just for it! Be sure to swing by and try each one...you might find your new favorite! This small, craft distillery located on the shore of the Hood Canal in Hoodsport is operated by Jan & Chuck. Good whiskey starts with good water, and the water they use is the best there is, fresh from their next-door neighbor, the Olympic National Forest. They distill vodka, whiskey, and gins, as well as specialty spirits like Aquavit, Bees Knees and Cat's Pajamas. R Gin is the second in their series of seasonal Pacific Northwest gins. It is a distilled, slightly smokey, dry gin, which is best when enjoyed with oysters. The Hama Hama Oyster Co. is very generous in letting us smoke the barley for our R Gin in their oyster smoker. The barley is cold-smoked, and the result is a subtle smokey taste. 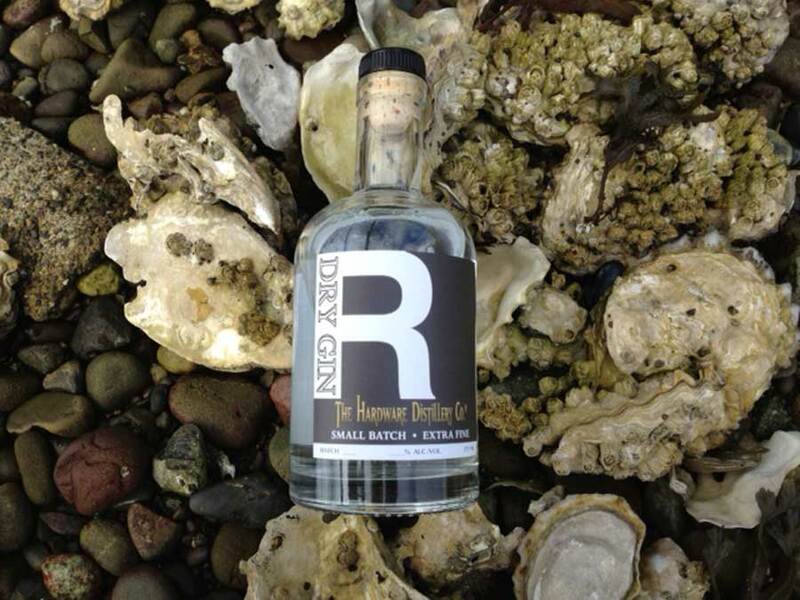 R Gin is named for the discredited, but lively, old wives’ tale that oysters are best in months with the letter "R."